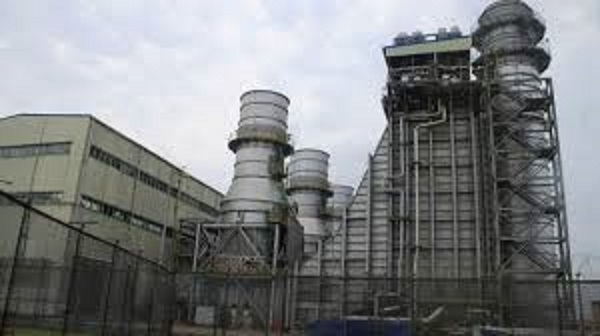 The Managing Director, Afam Power Plc, Olumide Obademi, has said that the full utilisatistion of generating capacity of unit 17 and 18 of Afam four power plants for a month could generate N800 million for the company. Obademi said this on Thursday in Afam , Rivers, during a facility inspection of the power plants by officers of the Federal Ministry of Power, Works and Housing. The Afam four power plant comprised of GT or unit 13,14,15,16 17 and 18 with each installed capacity of 75 megawatts. Presently GT 13-16 are out of operation since Feb 14,1996 due to various faults. GT 17 and 18 with a total capacity of 110 megawatts, are back to grid for commercial operation on Sept 2017, haven been out of generation since January 6, 2015 due to a burnt evacuation transformer. He, however, said the payment for gas supplied to gas companies would take the large chunk of the money to be realised . Obademi said liquidity problem was a major challenge to the company, noting that the little amount earned from energy generated was not fully paid for by the Nigerian Bulk Electricity Trading Plc(NBET). “I want to reiterate that the fund challenge faced by the company is so enormous, as a result of the delay in concluding privatisation exercise and emerging market rules. “Because of the privatisation exercise, there is no budgetary allocation to the company since 2012. “The company was surviving through internally generated revenue from energy generated in January 2015. “But when the evacuation transformer that serves GTs 17 and 18 that evacuates power from the two available units got burnt, that left the company with no source of income. “Since, there was no generation from Afam, no budget from the ministry and no other source of income, staff salaries with a total of 220 staff inherited from the defunct PHCN were accumulated,” he said. He, however, said the outstanding 20 months salary and allowances had been paid till date. He listed other challenges affecting the company to include non availability of spare parts due their expensive nature, Zero funding for critical projects and challenge of gas supply among other issues. Obademi called for full funding of the company by the Federal Government since the company was yet to be fully privatised and the payment of all outstanding monies owed the company by NBET. Responding, Mrs Emontonghan Osaisai, Director, Investment and Sector Development in the ministry said everybody was all aware that funding was a general issue. She, however said presently that the matter was seriously being attended to by the government. She debunked the claim that Afam power plant was not captured in the budget, saying that some parts of the ministries’ budget was rolled over . “ It is not that it is not included in the budget, it is just that there are some aspects of the budget that are rolled over because of dearth of funding, which we are all aware, it is still captured and it will be dealt with,” she said. On Afam Fast power plant that is 95 per cent completion, she said the project would not be abandoned because Nigerians needed the project to increase power generation and distribution. “We need it , because you know that the present administration’s mandate on assumption of office is to ensure that provision of incremental power . “Then to uninterrupted and then steady and I don’t think we have deviated from that mandate,” she added. She said government had put some measures on ground to improving the distribution angle, noting that government was trying to provide fund to strengthen the distribution network.